I have a list of things I want to blog about, which will happen regularly throughout these next few weeks (I hope Sean’s RSS feeder heard that!). 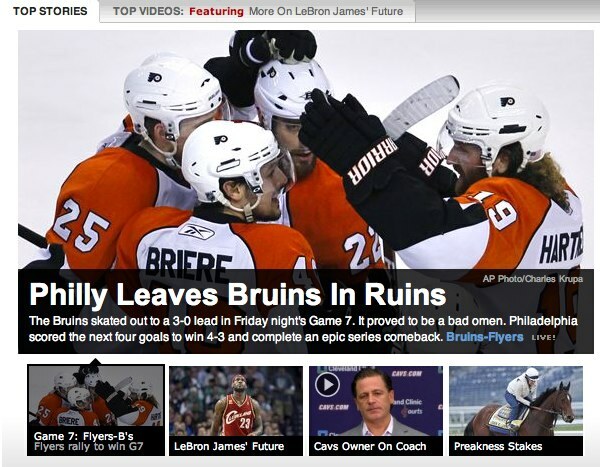 What makes it difficult to blog is when Philly sports teams do well in the playoffs. Next Next post: Should MLB Expand the Postseason to 10 Teams?